So I know it seemed like I had disappeared sometime ago, nevertheless, the three of us (No i don't have multi-personality disorder... this is just a group project. ) 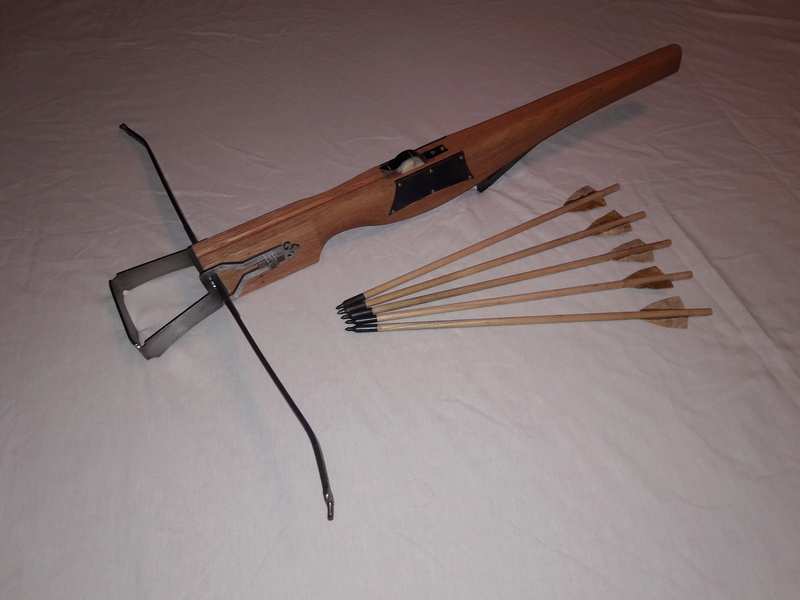 have finally finished our crossbow. It pulls 155# with an 11" powerstroke, and the bolts are fletched with deer rawhide. 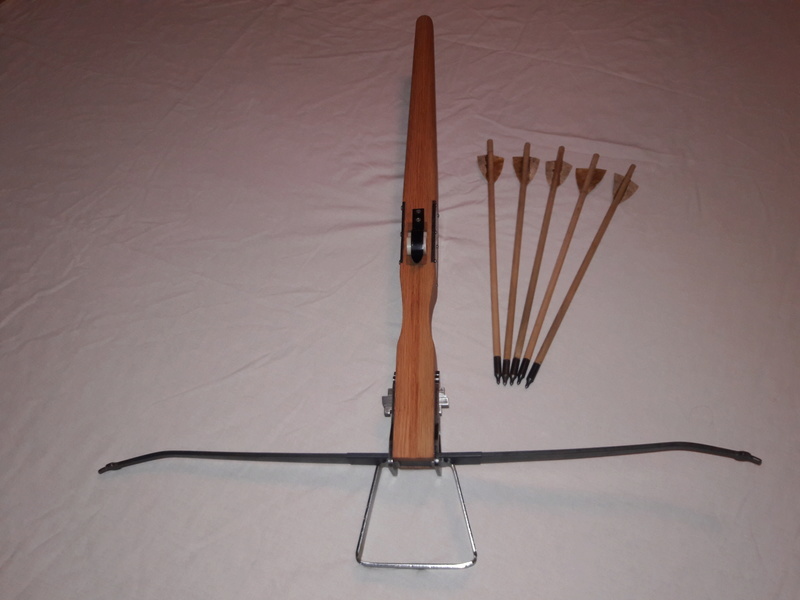 Thank you everyone for the advice that we needed, especially geezer for letting us visit and learn all about crossbows. We'll be making a video pretty soon, and we'll all get to see how it shoots. Thanks again for all the help!!! Hey Slinger, good for you . Looks really good. Good luck shooting it. Awesome, clean little bow. Well done! Did you see my tool collection? Thanks for all the kind words guys!!! Rawhide fletching! That's brilliant. Tough as, well, rawhide, and flexible. Wow. newbie here and just want to know if I am the only one on this website that cannot see images? How do I see images? HELLLP!